Due to increasing internal-control breakdowns (for example, security and privacy breaches and frauds) and increasing regulatory focus on internal control by public and private companies, many companies are increasing their due diligence efforts and requiring Service Organization Control Reports (SOC) before selecting service organizations. In addition, management of companies contracting with service organizations are responsible for assessing and addressing risks related to financial reporting, compliance with laws and regulations, and the efficiency and effectiveness of operations. Although management can delegate tasks or functions to a service organization, the responsibility for the service provided to their customers cannot be delegated. Consequently, management is usually held responsible by those charged with governance (for example, the board of directors); customers; shareholders; regulators; and other affected parties for establishing effective internal control over outsourced functions. the user entities’ internal control over financial reporting (ICFR). the security, availability, or processing integrity of the system or the confidentiality or privacy of the information processed for user entities. User entities that would like to undergo a SOC 1, SOC 2, or SOC 3 engagement may find it helpful to look for firms with this SOC logo displayed on their website. SOC 1 engagements, which were previously performed under Statement on Auditing Standards (SAS) No. 70, Service Organizations, are now performed under Statement on Standards for Attestation Engagements (SSAE) No. 18, Reporting on Controls at a Service Organization (AICPA, Professional Standards, AT sec. 801). SSAE No. 18 replaces the guidance previously contained in SAS No. 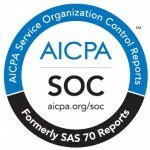 70 for service auditors reporting on controls at a service organization. SOC 1 reports focus solely on controls at a service organization that are likely to be relevant to user entities’ internal control over financial reporting and are used in an audit of a user entity’s financial statements. Use of a SOC 1 report is restricted to management of the service organization, user entities that are customers of the service organization, and user auditors. These reports are not intended for use by others (for example, as a marketing or sales tool for potential customers).